The bodies for the Cadillac Allante were shipped to Detroit from Italy for assembly. This 1993 model is essentially new. 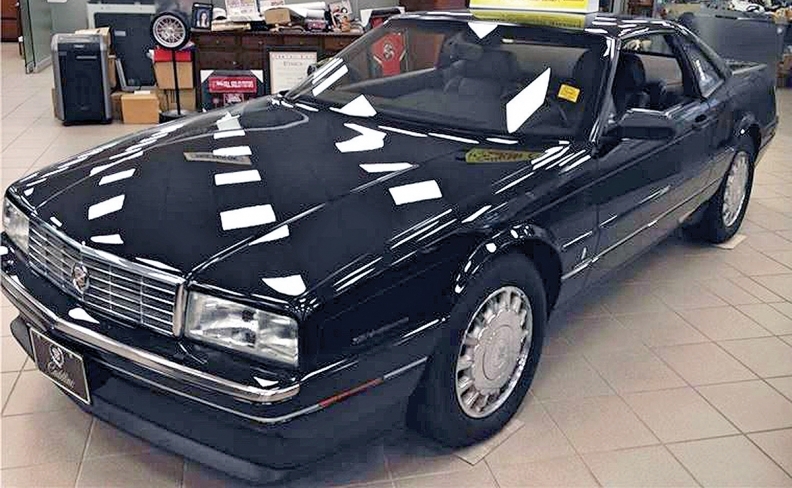 If anyone is in the market for a new 1993 Cadillac Allante, there’s one for sale in the showroom at Paul Sadlon Motors in Barrie, Ont. Asking price? Well, that depends. The dealership has it listed for $77,743 on AutoTrader.ca but Paul Sadlon Sr., who founded the dealership in 1965 and originally ordered the car as a surprise gift but never followed through on giving it away, wants $105,000. Paul Sadlon Jr. is now running the operation as vice-president of operations and sales manager. The Allante is equipped with a V-8 engine and “has everything on it you could possibly put on it at the factory,” Sadlon Sr. said. The car has been in the showroom since it arrived. To put it in some perspective, that same year Brian Mulroney was prime minister, the Toronto Blue Jays won their second World Series and Canadian country singer Shania Twain released her debut album. Toyota was still about seven years away from bringing the Prius to North America and Mark Zuckerberg was more than a decade away from inventing Facebook. Aside from the occasional move from the showroom to the service bay for routine checks, it has been driven about five kilometres to Highway 400 from the dealership, “just to make sure everything is working,” Sadlon Sr. said.